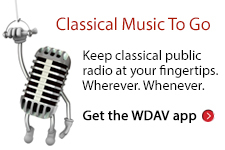 March 28, 2019 WDAV BlogMy Year with Mozart, News & Features, UncategorizedLawrence ToppmanComments Off on Are aliens enjoying Mozart right now? I listened lately to The Golden Record, perhaps the noblest unified cultural endeavor in history. I didn’t pay much attention when Voyager I and II were launched in 1977; I had just gotten my first journalism job and an unreliable car and had down-to-Earth concerns. There was nothing down-to-Earth about these spaceships, which sailed across the solar system relaying photographs of unprecedented clarity and color to NASA scientists. They each carried golden discs that brought greetings in 55 languages, sounds ranging from crackling fire to a steamship to a baby’s cry, 32 musical selections across many cultures, photos and diagrams of flora and fauna, and pictorial instructions on how to extract this data. Because this was the pre-digital age, a cartridge and phonograph needle went along. The late Carl Sagan came up with this idea to let aliens know what we are like – or, as the discs could last for millions of years, maybe what we were like before we destroyed ourselves. He and his team believed photos and music were the best ways to do that; even if aliens had no ears, they might absorb the music in some other way. 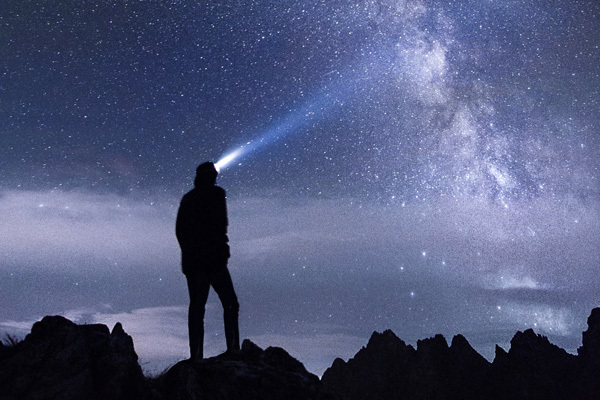 Despite naysayers, who worried that alerting aliens to our presence might encourage them to attack, this concept seems innocently hopeful: We sent a message, never expecting to learn whether it was understood or even received, to say, “Here we are. Know us. Drop by, if you’re friendly.” Voyager I became the first object to reach interstellar space in 2012 and will leave our solar system completely in 30,000 years. You can buy a book explaining the mission and technology used and containing everything recorded for the outing, along with photos Voyager sent back. The music ranges from Chuck Berry rocking “Johnny B. Goode” to the Georgian State Merited Ensemble of Folk Song and Dance harmonizing on “Chakrulo” to a young Peruvian girl singing a wedding song. Classical selections include Bach, Beethoven, Stravinsky and Mozart, with Edda Moser curdling the blood in “Der Hölle Rache.” What will aliens make of this outburst of rage from the opera “The Magic Flute,” whose first line translates as “Hell’s revenge cooks in my heart”? Perhaps that we were a warlike race who had a heavy hand in our own destruction. By the time they hear it, that may be true.